Have you ever driven past a shooting range and wondered what it would be like to try shooting for the first time? Perhaps you have a friend or a work colleague that hunts or is a member of a shooting club and you'd like to give it a go. This guide is for you, the prospective shooter. The first thing to know is that you don't need a gun license to try shooting! 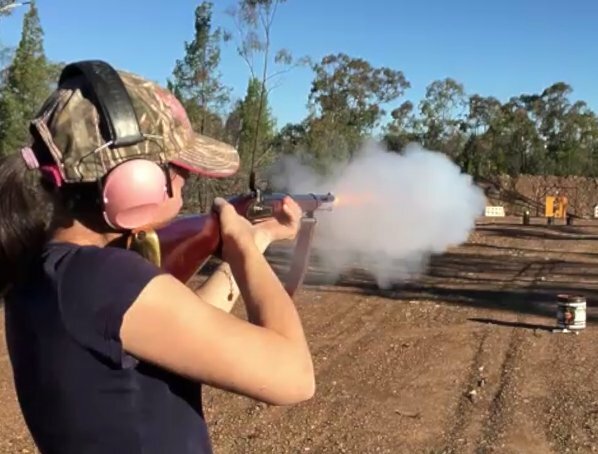 Some clubs cater for specific disciplines such as clay target, some might be rifle or handgun clubs but there are some clubs that cater for all three. There are 3 main firearm types used in competitions and some competitions use all three! You may not know which type of shooting you will enjoy the most, so try them all! A lot of clubs run 'come and try' days where they specifically focus on introducing new shooters to the sport. I have been involved in many of these days for both handgun and rifle. Every person ends up walking away with a smile of their face. Some people discover that they have a natural ability and quite often, the ladies end up shooting better scores than their partners. Shooting is a fun, inclusive and safe sport for everyone! Getting started is a lot easier if you already know someone who shoots. Ask them to take you along to the range so you can see just how safe and fun shooting can be. If you don't know anyone, it's okay to go along as a visitor. Now lets get you to a range. The first step is to find a club that shoots the particular discipline you are interested in. A quick Google will return results that are specific to clubs in your area. If there is a contact number to ring, go ahead and give them a call. This allows the club to prepare ahead of time for you to try the sport. If you know someone that is a shooter, ask them if they would be able to take you along. Another good source of information regarding clubs can be found at your local gun shop. Be sure to wear enclosed footwear, if possible, take hearing and eye protection, hat and sunscreen. For ladies wishing to try pistol shooting, be sure to wear a shirt that prevents a hot case from landing inside your top. This can become a safety risk so it's best to avoid it. Shooting Sports == Great name for a Business Name that is why registered it.